Solar prominences can be seen around the disk and Baily’s beads are visible to the lower left. The image is a blend of two images, one taken around the second contact and the other taken at the moment of the third contact. 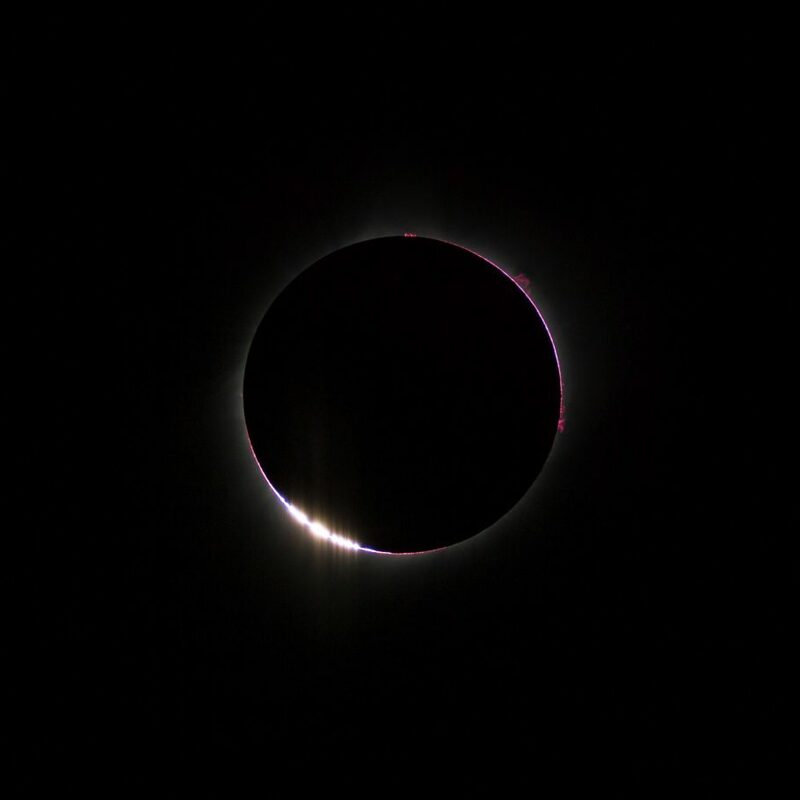 The image was taken during the August 21 2017 total solar eclipse in Wyoming, USA.